Is it possible to add a decal projection to a material created by amplify shader editor in HDRP? 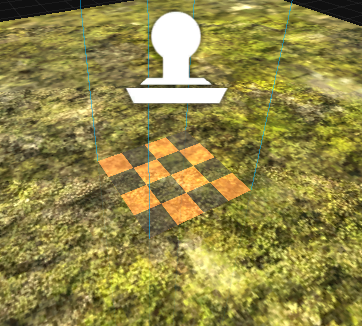 We would like to use Unity's new Decal Projector Component to project onto a surface. We don't know whether there is an option to automatically allow this behavior or we need to do something special with nodes. Hello, we've just ran some tests on our side and it seems to be working with our HD Lit template with no apparent issues and no special setup was necessary, but please let us know if you come across any, thanks! We used simple and more advanced Amplify shader for mesh under decal. None of them worked for us. For decal material we used HDRP/decal. Should we use any specific shader? Can you please give us instrucions on how to get HD Lit Template work. No problem, I'll elaborate on how I've proceeded to test this. This shader was added to a Plane in the scene. Please let me know if this helps, if you're still having issues I would recommend trying to replicate the behavior in a new project with just ASE imported. Thank you again for your hard work on Amplify Shader Editor and fast replies. With your instructions we were able to find a solution to our problem. We found out that we were using the older version of Amplify (from store) where HD Lit Shader Type was not present. Thank you for letting us know that the issue has been solved! Feel free to get back in touch if you have further issues or questions, we'll be happy to assist.